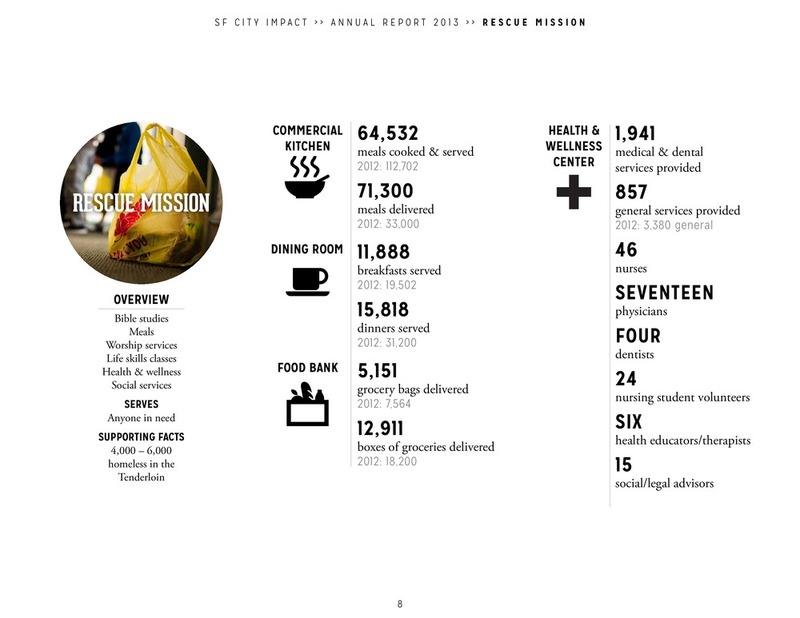 San Francisco City Impact is a non-profit organization located in the Tenderloin District of San Francisco. The organization is comprised of many branches, including a health clinic, an open kitchen, and a school. San Francisco City Impact mobilizes hundreds of dedicated volunteers annually to relieve, rehabilitate, and develop the Tenderloin District. I was honored to assist this hyper-local, forward-thinking organization making real impact in the community. How can information be displayed in interesting ways that communicate growth and change? Annual reports can get dull as they get rehashed year after year, or can fail to highlight the strengths of the organization. City Impact uses many strategies for intervention but never forgets the individual people it reaches. Supporters of City Impact, or new individuals considering financially supporting City Impact. They want to know where their money is going, and what has come of it. How could I communicate that in tangible, yet sensitive and respectful ways? Photographic imagery was the driving narrative behind the Annual Report 2013. 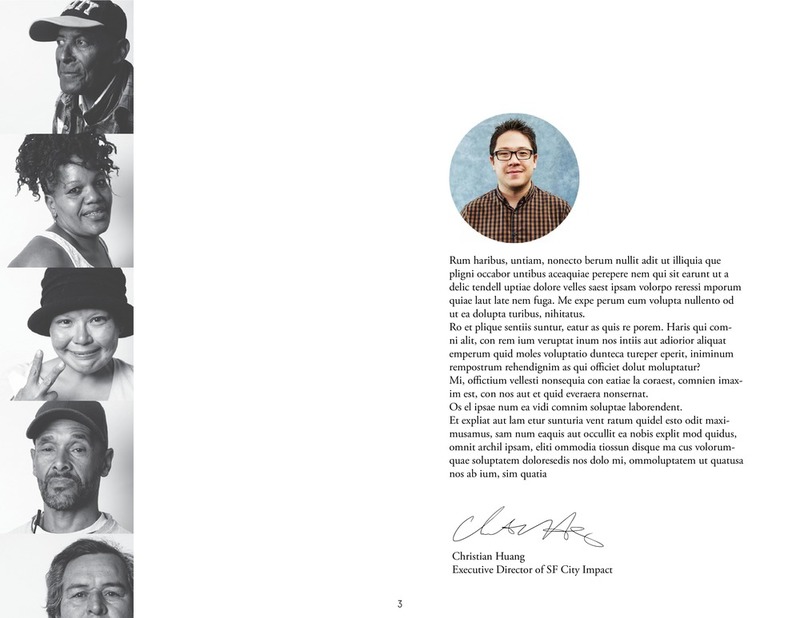 The images needed to show context, character, and vibrance that personified San Francisco City Impact while staying away from the stereotypical, and often harmful depictions of poverty. The underlying message of the images was positive change, hard work, and results.